Yay! Tom Hiddleston quote journal Give Away Winner is here! Remember that the prize is donated by Army Member Jenny Josy. It is a Hiddlesjournal plenty with Hiddlesquotes. Inside you can write your notes, and find Hiddlesquotes. This entry was posted in Give Aways and tagged give away, winners on June 11, 2015 by pepi. Army member Rue Ryuzaki has donated an awesome Avengers Tank Top for a Loki Give Away! And today is the day in which we’ll know who he winner is! Are you prepared? This entry was posted in Give Aways and tagged give away, winners on May 10, 2015 by pepi. This entry was posted in Give Aways and tagged give away, winners on April 5, 2015 by pepi. Winner of the 30K+ Likes Loki Party Give Away! Loki’s Army has reached 30,000+ likes in Facebook! Admin Titania and Admin Khaleesi have decided to make a Loki party with a cute give away! It’s the Loki Pary Give Away! And we have chosen a winner using Random.org!! 1. From Admin Titania: a stitched portrait of Loki based on a picture by Art Studio Kimberly (with permission from Kimberly). 2. From Admin Khaleesi: two books from the Movies Thor and Thor the Dark World. 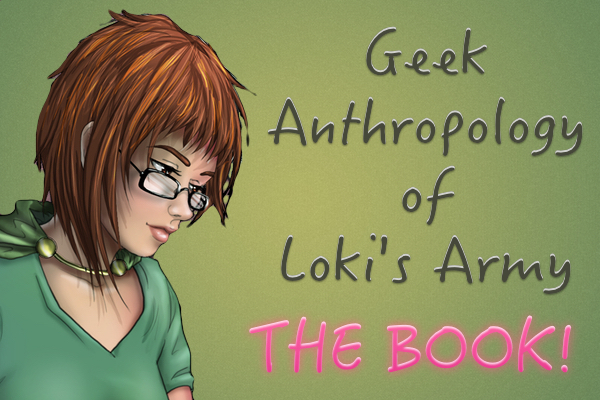 One has pictures of Loki in it and the other one has 2 bookmarks! This entry was posted in Give Aways and tagged give away, winners on March 8, 2015 by pepi. Our last Loki Xmas Give Away Winner is here! Congratulations to the winner!! Please contact us asap (through our FB page or to saymyname @ lokisarmy.org ). You have till December 26, 2014 to contact us. If you do not contact us by then, we’ll choose another winner. 2. The winner must contact us before Friday 26, December 2014. If the person doesn’t contact us, we’ll choose another winner. 3. Admin Titania will send the Loki handmade bookmark to the winner. Admin Khaleesi will send the Gospel of Loki to the winner. There will be only one winner. 4. Do not write your personal information on our wall in FB nor in Twitter to contact us. Please use our mail saymyname @ lokisarmy.org or use the mail system within Facebook. Thank you! This entry was posted in Give Aways and tagged give away, winners on December 23, 2014 by pepi. ｡*｡+｡(｀･ω･｡)o Double Loki Xmas give away: Marvel Loki Pendant + Loki pic print! o(｡･ω･´)｡+｡*｡　The Winners!!! ｡*｡+｡(｀･ω･｡)o Double Loki Xmas give away: Marvel Loki Pendant + Loki pic print! o(｡･ω･´)｡+｡*｡ The winners are here! Congratulations to the winners! YAY! Remember: our LOKI XMAS continues!! Tomorrow we’ll have more surprises! Stay tunned because our last LOKI PRESENTS are epic! Deare winners, please contact us asap. If you don’t contact us before Monday Dec. 22, 2014, we’ll choose another winner. 2. The winner must contact us before Monday 22, December 2014. If the person doesn’t contact us, we’ll choose other winners. This entry was posted in Give Aways and tagged give away, winners on December 18, 2014 by pepi. (´｡✪ω✪｡｀) And… the 5th LOKI XMAS give away winner is: Candance!!! (´｡✪ω✪｡｀) Congratulations to the winner! YAY! Remember: our LOKI XMAS continues!! On Monday we’ll have more surprises! And On THORsday!!! Stay tunned because LOKI PRESENTS are getting… LOKIIIII!!! Deare winner, please contact us asap. If you don’t contact us before Monday Dec. 15, 2014, we’ll choose another winner. 2. The winner must contact us before Monday 15, December 2014. If the person doesn’t contact us, we’ll choose other winners. This entry was posted in Give Aways and tagged give away, loki xmas, winners on December 13, 2014 by pepi. (´｡✪ω✪｡｀) 3rd and 4th GIVE AWAYS: LOKI XMAS, YAY!!! (´｡✪ω✪｡｀) Our LOKI XMAS continues!! And here we have our third and fourth winners! Congratulations to both winners!! Since two of our Admins are in charge of the presents, please contact us directly, so that they can send them to you! Please contact us asap. If you don’t contact us before Monday Dec. 8, 2014, we’ll choose other winners. 2. The winner must contact us before Monday 8, November 2014. If the person doesn’t contact us, we’ll choose other winners. This entry was posted in Give Aways and tagged give away, winners on December 6, 2014 by pepi. (´｡✪ω✪｡｀) SECOND GIVE AWAY: LOKI XMAS, YAY!!! (´｡✪ω✪｡｀) Our LOKI XMAS continues!! And here we have our second winner! Scarlett Droste!! Congratulations!!! LOKI’S ARMY WE ARE OUT TO GET LOKI T-shirt is yours!! Cuquetafera will send you the T-shirt. Please contact us asap. If you don’t contact us before Monday Dec. 1, 2014, we’ll choose another winner. This entry was posted in Give Aways and tagged give away, winners on November 29, 2014 by pepi.